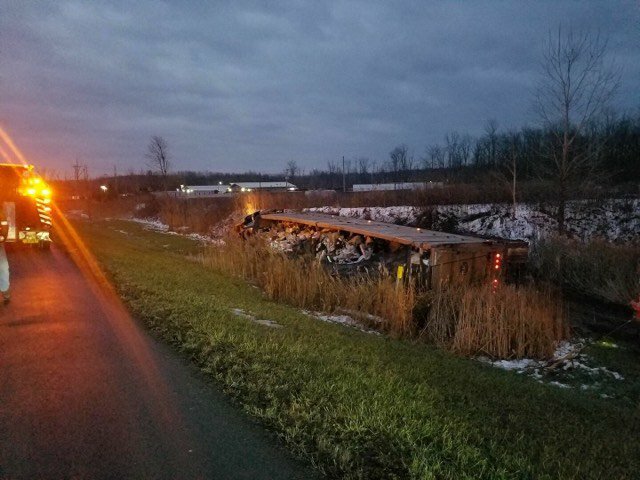 A tractor-trailer carrying garbage crashed on State Route 414 during the morning hours on Tuesday, according to first responders. The accident was reported as a rollover, and came in around 6:30 am. While additional details about the accident were not clear, crews spent hours cleaning up the site. As of 2 pm there was still traffic around the scene of the accident.